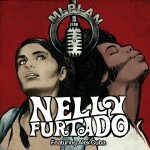 Although Nelly Furtado is no Latin Elvis, she sure comes closes close. She’s transformed from her first and very folk album, Folklore (2003), to a commercial success, Loose (2006), which featured five hit singles, to finally a Spanish-saturated pop hit Mi Plan (just released September 15, 2009). 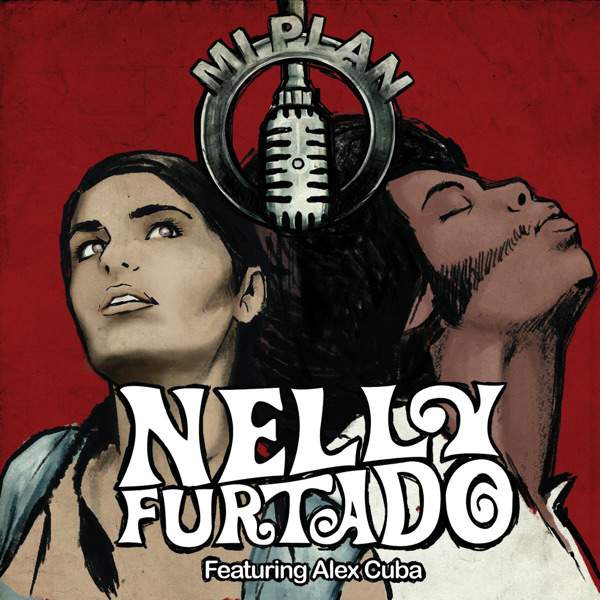 Although it seems like she’s jumping across the musical spectrum in terms of her genre choosing, Nelly Furtado has always shown an inclination towards collaborating with Spanish Artists (like Juanes, or Venegas). Thus, it comes as no surprise that she finally released an album completely in Spanish. Her songs, on the other hand, are less scattershot than those on her album Loose, but more concentrated on freeing herself. As an avid lover of her folksy style where I felt she “freed herself” enough, I think she’s merely following in the footsteps of Shakira but will never have the same universal success Shakira had. The Video, as most sappy Spanish love song Videos go, depicted slow-mo moments of a couple fighting yet failed to break the stereotypical barrier of relationship songs/videos. After muted out couple’s therapy, where she looks as hot as ever, Nelly takes matters up in her own hands. I really don’t see how littering her boy-friend’s possessions while recklessly driving a tank really would help solve control issues in her relationships. Either way, she retires from parading on her tank and throws her “Manos Al Aire” at the end (sorry if I spoiled the un-predictable video ending for you). The only “beautiful” part of the video was when Nelly sat on a couch with a red flag shuffling behind her. The whole video was too reminiscent of Madonna’s American Life where she had the same army and flag theme. Ultimately, the video quality and originally definitely does not match Nelly’s expertise and diversity in music and her gorgeous voice. 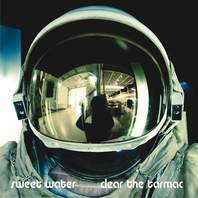 Almost put together like pieces of instruments playing themselves, Sweet Water’s rock steady seems like the perfect viral video. Using multiple camera and angles, they revolutionize the typical “band playing a song live” performance video. Since it is mostly in black and white and a somewhat surprise intro which practically jumps at you, the video is different from the start. Through hyper active editing and camera angles focused on the individual instrument and in sometimes obscure positions, Rock Steady created a winning, yet under-appreciated garage band video with a great “home video” feel to it. Likewise, the cutting of the clips parallels Lasse Gjersten’s youtube video’s of his “amateur” instrument playing. The lyrics, on the other hand, as mediocre as id their undefined style which wants to be clearly rock, but also throws in some ‘oooh’ and ‘aaaah’ vocals like every other indie band. Therefore they fall under the vague alternative category, and are great if you miss that Grunge music. Even though their album is a mere 30 minutes, this Seattle Band (like most bands from that magical city) has enough potential for success, but enough elbow room to slip between the cracks. The colorful juxtaposition of black dancers on top of a centered singer seems like an impossible combination, especially with lights constantly flashing. The title of the song is almost as great of a contrast as this combination, too. Nevertheless, this video maintains an arm’s length away from being too clashy and somehow pulls off a beautiful song, free of too much technical ruckus, and a strikingly simple music video. I’m inclined to believe that the high pitched guitar was actually a banjo due to the barn-room, farm scene theme of the video. 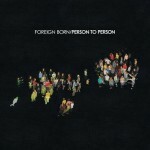 With a unique Californian twang, Foreign Born’s vivid style screams indie rock hit. Pitchfork and Rolling Stones enthusiastically reviewed this band, both comparing them to Vampire Weekend and Fool’s Gold. They have not yet established a strict style, which gives them the freedom to keep on experimenting – an endeavor truly worth following. 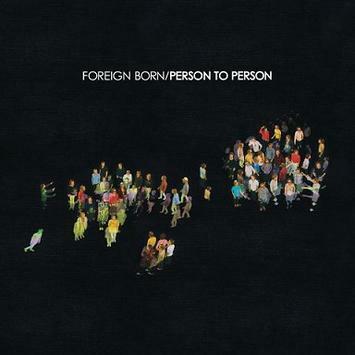 It’s one of my favorite videos due to the trippy colors and fresh sound of the band, so I suggest that you keep an eye on Foreign Born. Backed by a powerful Record Company, Domino Records, this American singer sounds like a slowed down version of Mute Math or Pink Floyd. Cass McCombs sings this as if he were slowly falling asleep – but it works to his advantage. The harmony of the song parallels the carnival-like tone of a carousel, just with an extremely slow tempo. Dream-like in every aspect, this song reminds the listener of their importance in saving his life (”you saved my life” repeated over and over again). My issues with the video are the perpetual following of the main character throughout the clip and the strange fade-ins and outs of the dancing silhouettes. Those aspects could be seen as original or mundane as you want them to, but I feel as if they get too old, too quickly. When we finally come face to face with the star, McCombs, at the end of the video, we wonder why we followed him this whole time. The suspense builds to no ultimate culmination or realization. Sounding a bit more special than a good song in a coffee house, Brookville’s “Great Mistake” is melodic and pleasing enough to sound like a light version Smashing Pumpkins but not strong enough to actually want to get up and dance to. Staged in vibrant New York City, the video focuses in and out of scenes with artistic angles which add a hidden flair to the overall video. This delightful adventure through the city features a fast tempo and the usual “fast forwarding through the road” scenes. Although the video is interesting, it is by no means extraordinary or different. Previous PostTextbook Relief for Florida College StudentsNext PostSelena is youngest UNICEF Spokesperson!